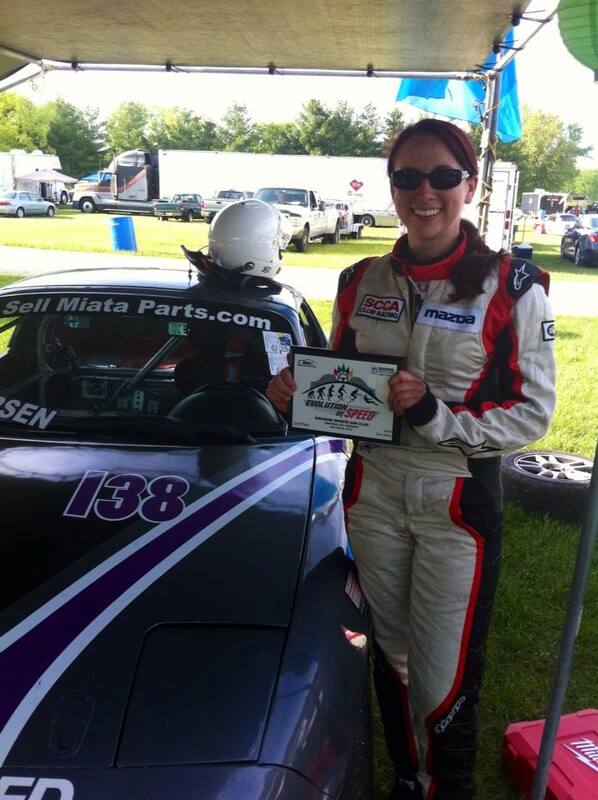 Stephanie Andersen, started racing Spec Miata’s in 2009 with the Midwestern Council and SCCA Central Division. Stephanie did not grow up in a racing family and didn’t have much exposure to the sport until her mid-20s when her fiance got her interested in racing. 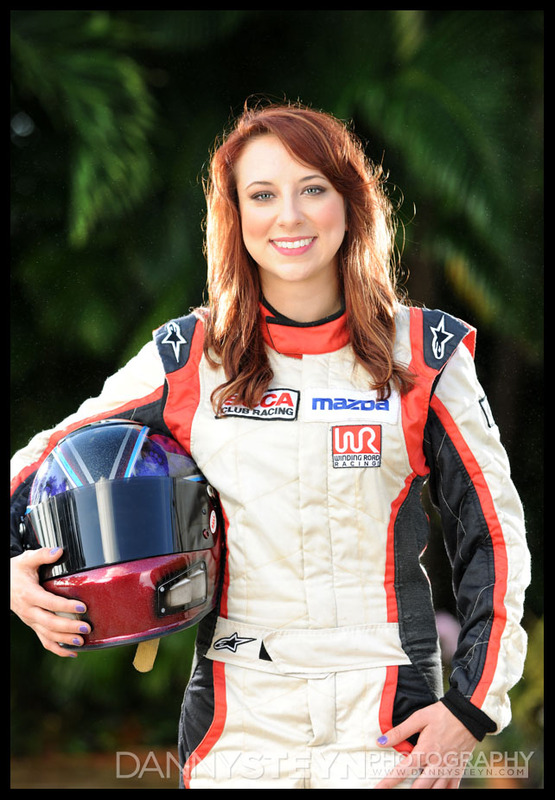 In 2009 Steph became a full competition licensed driver and began racing with the Midwestern Council of Sports Car Clubs. She spent the next few years getting the car up to competition level and getting as much track time as budget would allow. 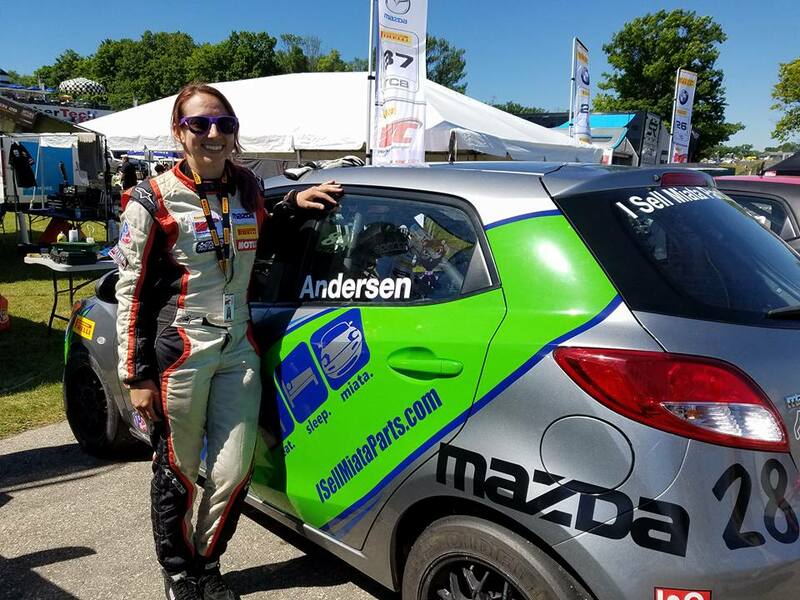 2012 was the first season that she was able to focus solely on racing and complete a full Midwestern Council schedule as well as some Milwaukee region SCCA events. 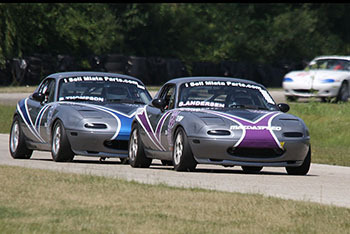 That year she finished 2nd in championship points in Spec Miata with Midwestern Council. 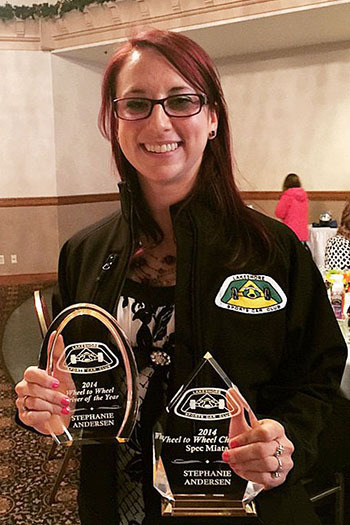 She also received Midwestern Council’s Driver of the Year award. The highlight of the year wasn’t the award or her first ever podium finish, but was actually the day she was greeted by a little girl who waiting anxiously by the trophies to tell her she watched her race and thought she was a really good driver. As a female driver it is the most wonderful thing for her to see a young lady get so excited about racing and knowing she now had a young fan. 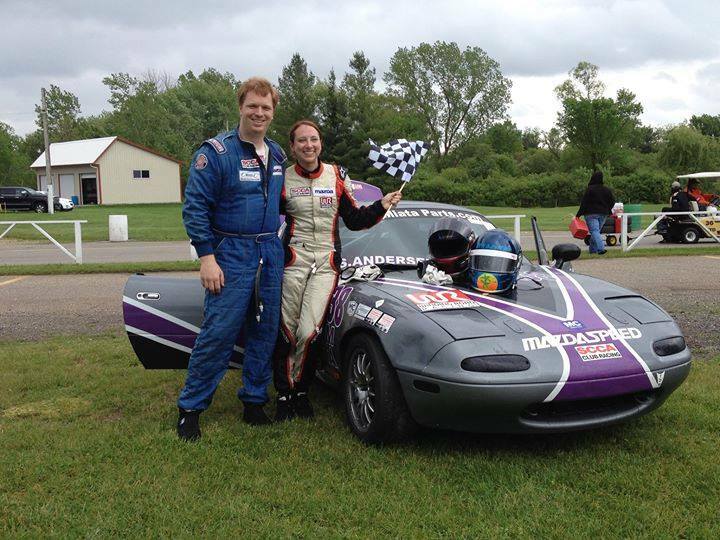 Since switching to Rossini Engines in 2014, Stephanie has pulled off her first Spec Miata race win at the Milwaukee Mile. She has also finished on the podium at Blackhawk Farms. Stephanie still volunteers as much as she is able to and handles club membership, race planning, and is also a mentor to new students going through Midwestern Council’s Driver School program.